Updated at 9:30 am Saturday to correct a misspelling. Legislation that gives some extra protections to cyclists, pedestrians, and passengers in cars in St. Louis City is on its way to the desk of Mayor Francis Slay. The bill passed Friday with no opposition. It creates a new city ordinance violation for threatening or attempting to hurt a pedestrian, bicyclist or someone riding in a car. It also applies to individuals who use wheelchairs or other devices to help them get around. The advocacy group Trailnet was a supporter of the measure. Policy director, Rhonda Smythe, says a story she heard from a Trailnet member highlights the need for the new language. "He got into an argument with a person in a car, it escalated to the point where the person in the car tried to run him off the road, got out of the car, physically threatened him, and the only charge was disturbing the peace," Smythe said. Violations of the new law are punishable by fines, a brief stay in jail, or both. 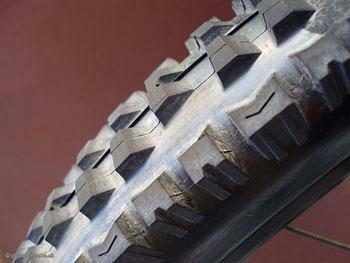 Smyth says Trailnet will work with other advocacy groups to push for similar laws statewide. St. Louis has joined cities like Minneapolis and Seattle in requiring developers and rehabbers to install bike racks in certain projects. 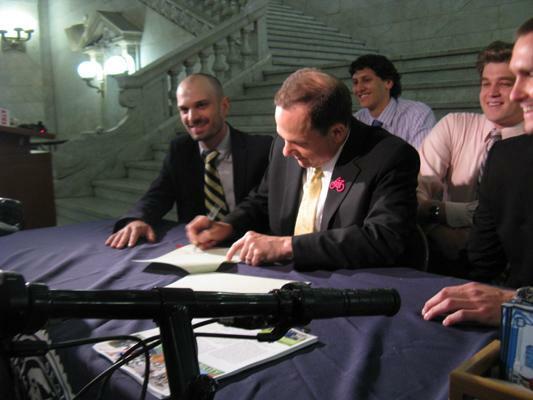 Mayor Francis Slay signed the bike parking ordinance at City Hall on Wednesday. It requires developers and rehabbers of most projects over $1 million to install at least one bike rack that can hold at least two bikes. 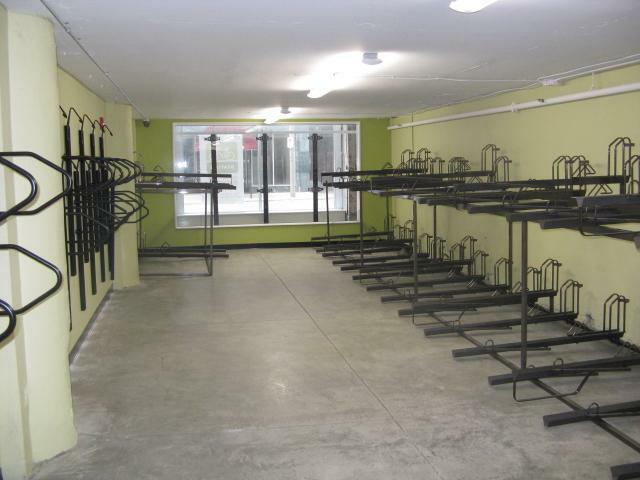 The offsite parking requirement is reduced by one space for every bike rack that's installed. Reporting from Illinois Public Radio's Luke Runyon used in this report. The Illinois Department of Transportation doesn't keep statistics on accidents unless a moving car is involved. That's why Ed Barsotti with the League of Illinois Bicyclists says "dooring" was invisible in state record books. The City of St. Louis has taken steps to become friendlier for bike commuters. The new downtown St. Louis Bike Station opens on Thursday. The project was funded through a $180,000 grant from the Department of Energy. The project is currently administered through the Partnership for Downtown St. Louis but will eventually be handed off to Trailnet. Maggie Campbell is the President of the Partnership for Downtown St. Louis. She says the site will offer a full range of services for bike commuters.